Darrell Evans made his MLB debut on April 20, 1969 for the Atlanta Braves. He was the first player to hit 40 homeruns in both the American and National Leagues. Not only that, but he became the oldest player to ever lead the league in homeruns. In 1988, Evans became the 22nd player to ever hit 400 homeruns. He became the second player, after Reggie Jackson, to hit 100 homeruns with three teams. Evans hit a total 415 homeruns during his career. Not only does he hold homerun records, Evans also received the honor of being on two National League All-Star teams in 1973 and again in 1983. Also, in 1983, he received the Willie Mac award for his leadership and spirit. In 1984, Evans was a Worlds Series Champion with the Detroit Tigers. Additionally, he was the American League Home Run Champion in 1985. After the majors he coached with the New York Yankees in 1990, and spent a few years managing for the Long Beach Armada, in the Golden Baseball League. He was also manager for the Palm Springs CHILL in 2009. 1965 was the first player selected in the first Minor League Draft by the Minnesota Twins. DiPace led the Midwest League in hitting (.333), hits and runs scored for the Wisconsin Rapids. In 1966 he also led the Carolina League in hitting (.330). DiPace has a long history of coaching, beginning in 2000 as a first base and hitting coach for the Aberdeen Arsenal. In 2002 he went on to become a first base and hitting coach for the Allentown Ambassadors in the Northern League, and the Long Beach Armada in 2005. DiPace was a first base coach for the Orange County Flyers in 2007-2008, winning the 2008 Golden Baseball League Championship. He was a coach, and in charge of player procurement, for the Palm Springs CHILL from 2008 to 2009, and is most currently the bench hitting coach for the Victoria Seals in the Golden Baseball League. Giles is a native of Manhattan, Kansas. In 1981, the 21-year-old enter the big leagues drafted by the New York Mets as a second baseman. 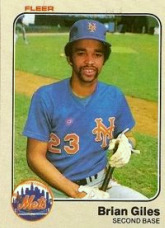 His best season came in 1983, coming the the plate 400 times hitting the ball 98 times in his 145 apperances as a Met. During that year, Giles had 39 runs, 27 RBI’s and two homeruns. He played six seasons in the Major League’s. hen drafted by the Kansas City Royals in the 1969 expansion draft as their 6th overall pick. After suffering from a persistent torn rotator cuff, Warden attended Ohio State University, graduating in 1975. He went on to become the Varsity baseball coach at Indian Hill High School, holding the record for most wins, and a pitching coach at the University of Cincinnati. 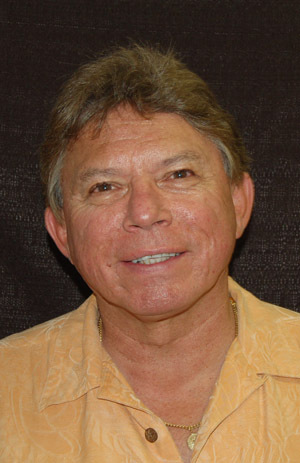 He was the Camp Director for the John Franco Camp and the Jose Rijo camp. In 2004, he was a baseball analyst for ESPN’s Cold Pizza. For the past five years he has been the assistant director and emcee for the MLB’s All-Star Fantasy Camp and has been assistant director of the Hall of Fame Fantasy Camp for the past four years. Most recently he has been the pitching coach for the Long Beach Armada of the Golden Baseball League from 2005-2007. Greg Cadaret pitched 13 seasons in the major leagues, including pitching in the 1988 World Series for the Oakland A’s. He started his career in the minor league with the Medford A’s and helped them win the 1983 Northwest League Championship in his rookie season. In 451 games, Cadaret tallied a 38-32 record, with 14 saves, 539 strikeouts and a 3.99 ERA. He coached at Simpson University and spent one year as manager of the Redding Colt .45’s of the Horizon Air Summer League in Redding, California. In 2009, Cadaret was named manager of the Chico Outlaws in the Golden Baseball League. Tim Blackwell was a catcher in the major leagues for 10 years for the Red Sox, Phillies, Expos and Cubs from 1973 through 1984. He made his MLB debut in 1974 while playing for the Boston Red Sox. 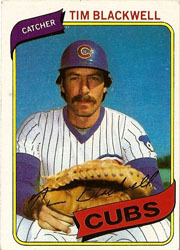 Blackwell’s most noted season came in 1980 while he was with the Cubs, and posted career-highs in games played with 103, a batting average of .272, most career hits(87), doubles (16), runs (24), triples (4), home runs(5) and RBI of 30. Blackwell also led the National League catchers in most double plays with a season high of 16. In his 10-season major league career, Blackwell was a .228 hitter with six home runs and 80 RBI in 426 games. In 1989, Blackwell earned the Manager of the Year awards while coaching the Pittsfield Mets. He is currently the manager of the Winston-Salem Warthogs, a Class A Carolina League affiliate of the Chicago White Sox. Mac Suzuki joined the Salinas Spurs minor league team in 1992, at the young age of 17. He became the first Japanese player to enter the major leagues without having first played in the Japanese professional leagues. In 1993 Suzuki signed with the Seattle Mariners and was promoted to the majors in 1995. He made his major league pitching debut on July 7, 1996. His debut cast him as only the third Japanese player to play in the major leagues and the first Japanese player to pitch in the American League. Suzuki went on to play for the New York Mets, Kansas City Royals, where he won 8 games in 2000 including a shut-out, the Colorado Rockies and the Milwaukie Brewers before deciding at the end of the 2002 season to enter the Japanese professional leagues. In 2005, Suzuki came back to the US and signed a minor league contract with the Oakland A’s, and in 2006 he joined a Mexican League team and in the offseason signed a minor league deal with the Chicago Cubs. Suzuki played with the Calgary Vipers of the independent Golden Baseball League to round out his 2008 season. In 2009 he played for the Southern Maryland Blue Crabs of the independent Atlantic League. Chris Paterson is a native of San Bernardino, California and attended High School at Redlands East Valley. He was a member of the school’s first Citrus Belt League Title playing on same team as the Atlanta Braves Tommy Hansen. Paterson played one year of junior college baseball at Barstow Community College before going on to play Division I baseball at North Dakota State University in Fargo, North Dakota. While there, he served as a reliever and posted a career earned run average of 4.26, including 2 career starts including a no hitter against the perennial NCAA powerhouse Creighton University. Paterson earned national awards such as, a PING National Spotlight Player/ Performance of the week. While at NDSU, he graduated in 2008 with a degree in Behavioral Studies. After College, Paterson was offered multiple Independent contracts, but chose to pursue his career professionally on the international circuit. Paterson played his last season for the French Elite club for the Montigny Cougars as a starting pitcher, first baseman and outfielder. He played and coached this winter in Australia for one of the top leagues, the Victorian Baseball league in Melbourne for the Doncaster Dragons Baseball Club as a pitcher and outfielder. Paterson helped lead the club to the middle of the pack after the team finishing last the previous season. He was offered Independent contracts for the next season as well as Professional International contracts including the job as head coach and player for a top team in the Czech Republic in the Czech ExtraLeague. Paterson currently resides in Yucaipa, California where he is working on his Masters Degree. He thinks the California Winter League will be a great chance to fine tune my playing skills as well as coaching alongside some great and highly experienced coaches to further his knowledge. “This willbe a great opportunity for me to use this experience to recruit and look for talented players for my club, as well as for other European clubs,” Paterson said. Paterson knows multiple contacts throughout Europe and the various Leagues overseas. Gurley has built a very distinguished coaching and scouting career at all levels including professional, collegiate and high school. Most recently Gurley was the pitching coach at Ohio State University for the 2006 & 2007 seasons. During that time, OSU led the Big Ten Conference in team ERA and had their first 10-game winner since 1999. In 1984, he spent one season as manager of the Helena (Mont.) Gold Sox of the professional Pioneer League (Class A) and led them to the league championship. Gurley also spent several years as an associate scout for the Kansas City Royals and the St. Louis Cardinals organizations. With all of this coaching and managerial experience, it is no surprise that Gurley is no stranger to the collegiate summer baseball circuit either. In 1998, he was the pitching coach for the Nevada (Mo.) Griffins who won the Jayhawk Collegiate Baseball Summer League championship and finish second in the NBC Tournament in Wichita, KS. During Gurley’s distinguished coaching career, he has worked with over 35 players who have played affiliated professional baseball, including 12 players who have made it all the way to the Major Leagues. Five of his prized pitching pupils have also been drafted in the 1st round of the MLB draft. Gurley was the 2009 Palm Springs POWER Manager and claimed the Southern California Collegiate Championship. 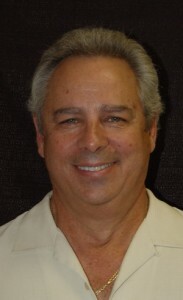 Mike has had a long career in coaching at several different levels from professional to youth league. In 2008 he managed the Attang-Puchhiem Athletics of the Austrian professional league to their first ever championship season. He is also the Associate Head Coach at Marywood Palm Valley High School in Rancho Mirage. Schulz was the 2009 Assistant Coach for the Palm Springs POWER. Schulz has continued his intructing career over the years through Total Baseball, a company specializing in private, group and team lessons. He has been endorsed by Mark Cresse, 22-year Los Angeles Dodger Coach.